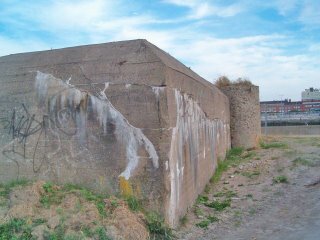 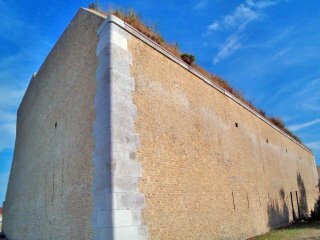 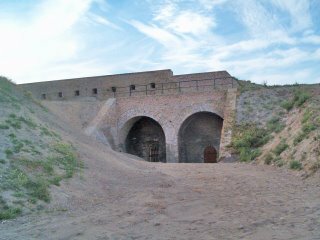 Fort Risban is one of the three main fortifications built to protect Calais, the others being Fort Nieulay and the Citadel. 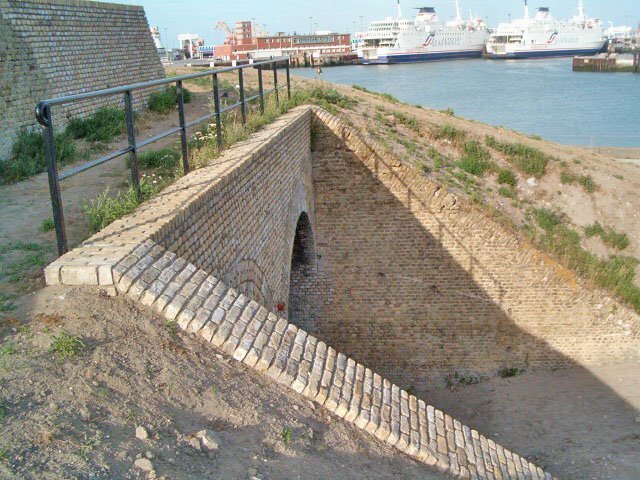 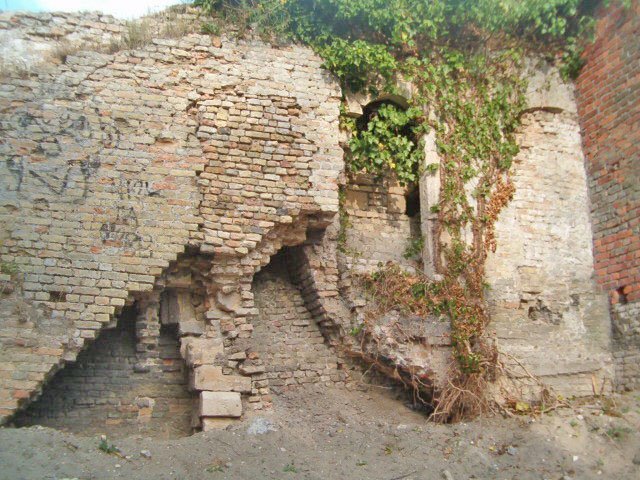 Work began on the fortifications in the 13th Century, but there have been many alterations over the years, much of the now visible brickwork being from the 16th and 17th Centuriues. 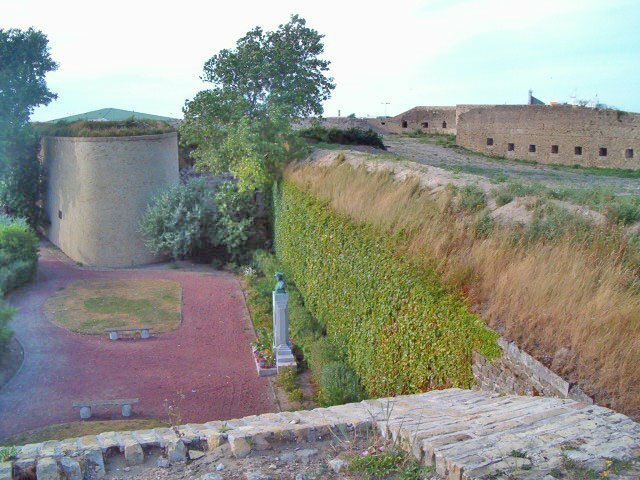 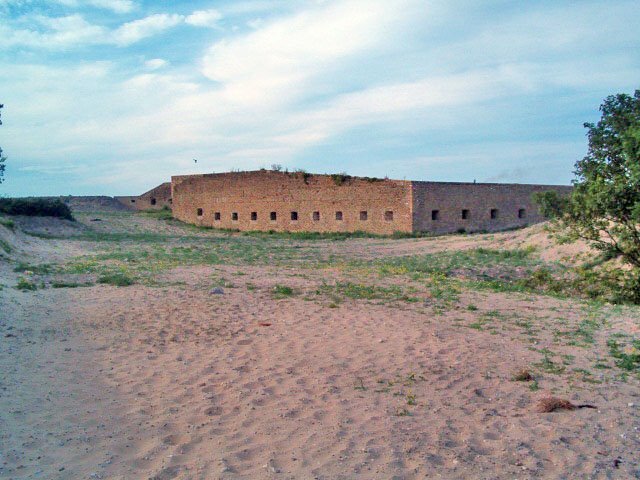 Although built by the French, the fort was besieged and later occupied by the British and Spanish, before returning to the French. 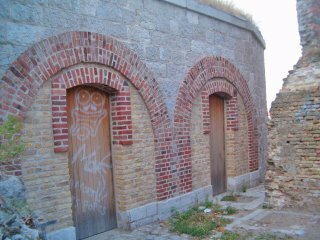 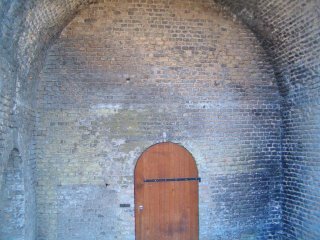 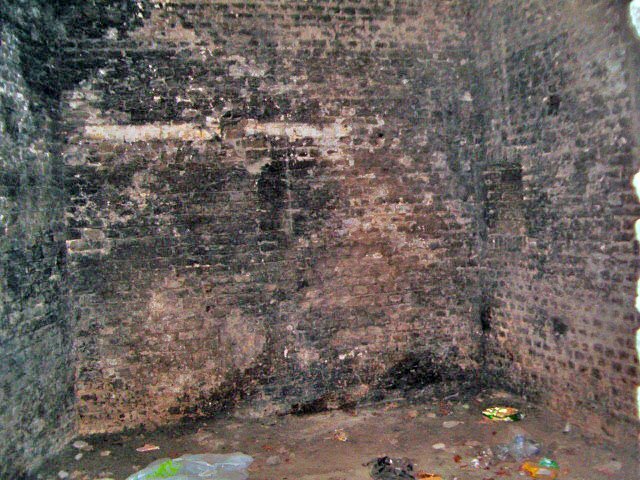 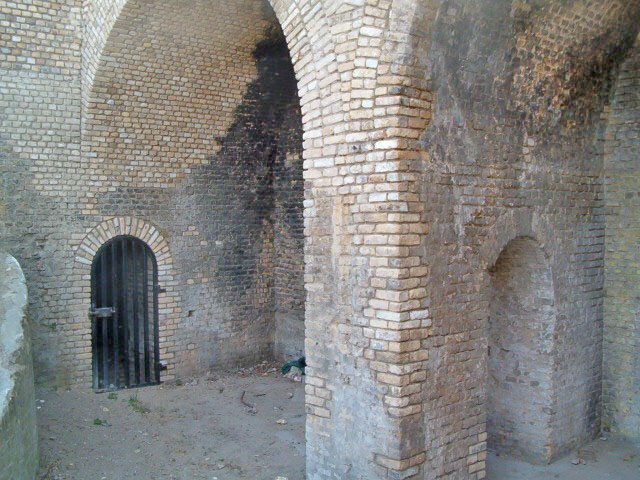 It suffered from an explosion in the powder magazine in the late 18th Century, which caused damage to much of the fort. 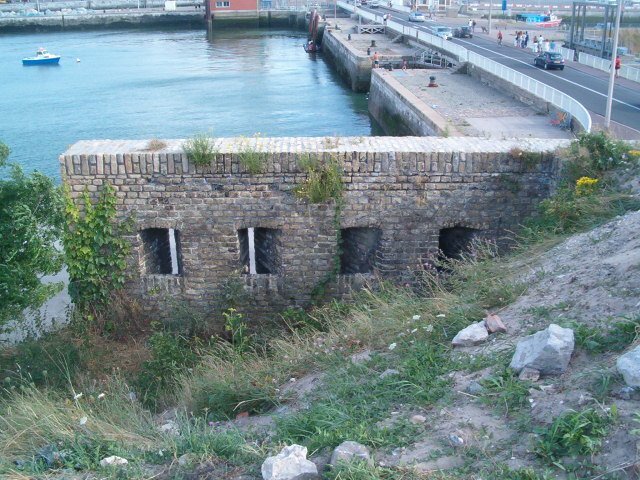 It was later used as a WW2 shelter, and a comms bunker is located within the fort. Fort Risban now forms part of the harbour and is partially used by a sailing club. Fort Risban is open access and can be visited at any time.